ALLEGRA BOVERMAN/Staff photo. Gloucester Daily Times. 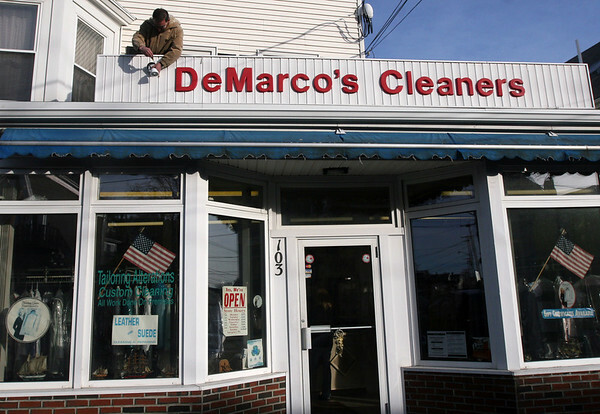 Gloucester: Rosario Maletti, owner of DeMarco's Cleaners, replaces a light bulb at the Washington Street location on Wednesday afternoon.